Picking recommended ELISA Kits will save you time - yet all 54 products covered by our Money Back Guarantee! 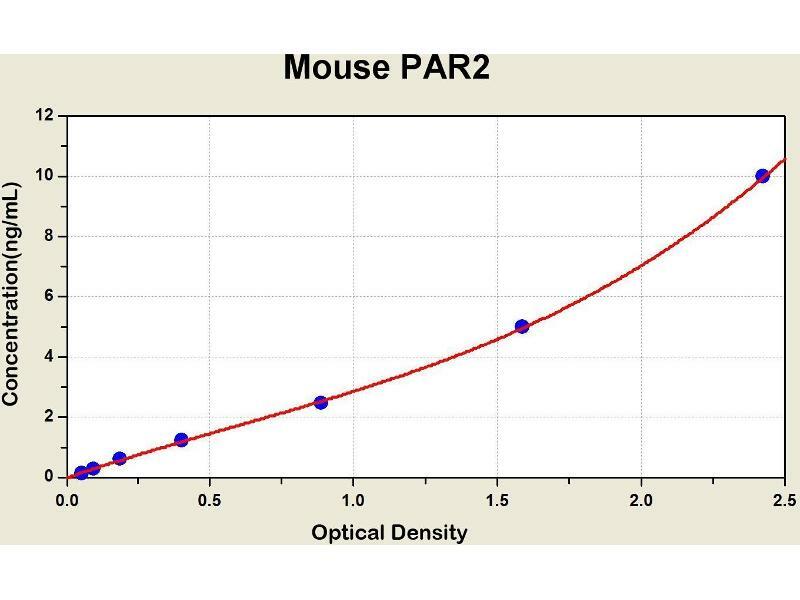 Diagramm of the ELISA kit to detect Mouse PAR2with the optical density on the x-axis and the concentration on the y-axis. 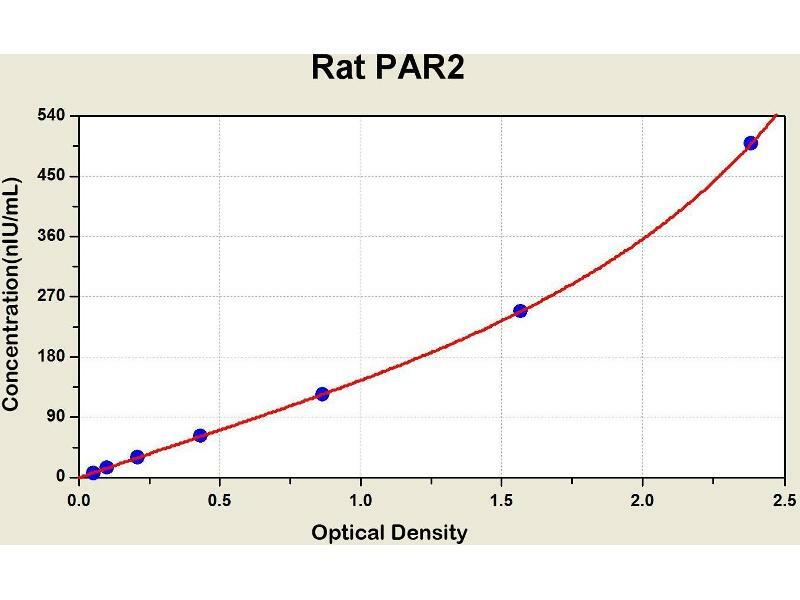 Diagramm of the ELISA kit to detect Rat PAR2with the optical density on the x-axis and the concentration on the y-axis. 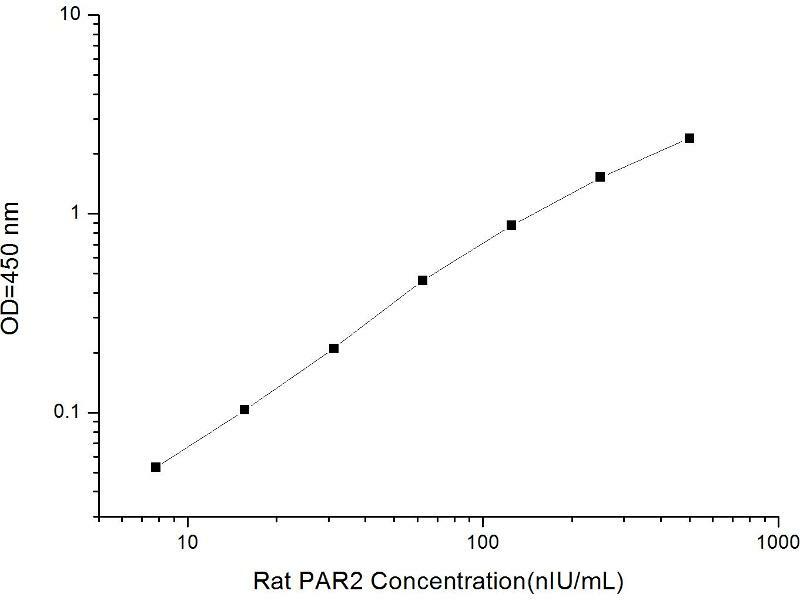 Coagulation factor II (thrombin) receptor-like 1 (F2RL1) is a member of the large family of 7-transmembrane-region receptors that couple to guanosine-nucleotide-binding proteins. 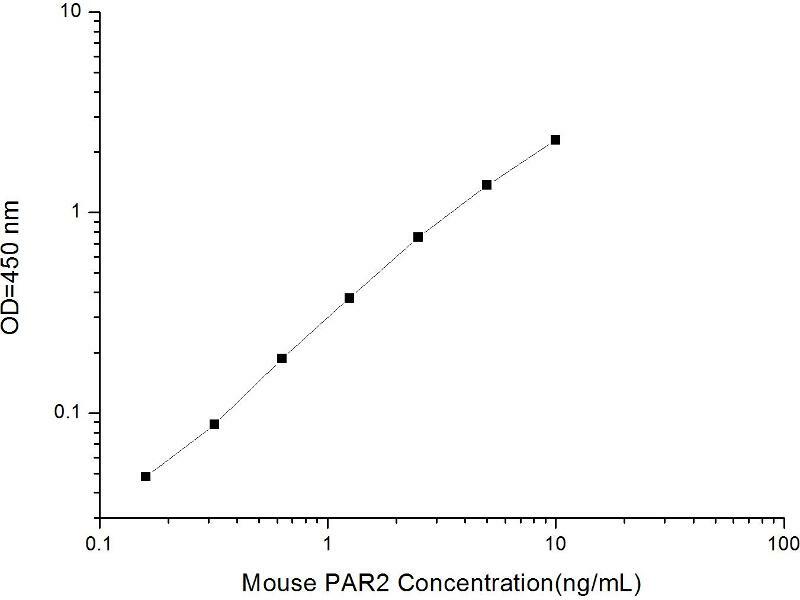 F2RL1 is also a member of the protease-activated receptor family. It is activated by trypsin, but not by thrombin. 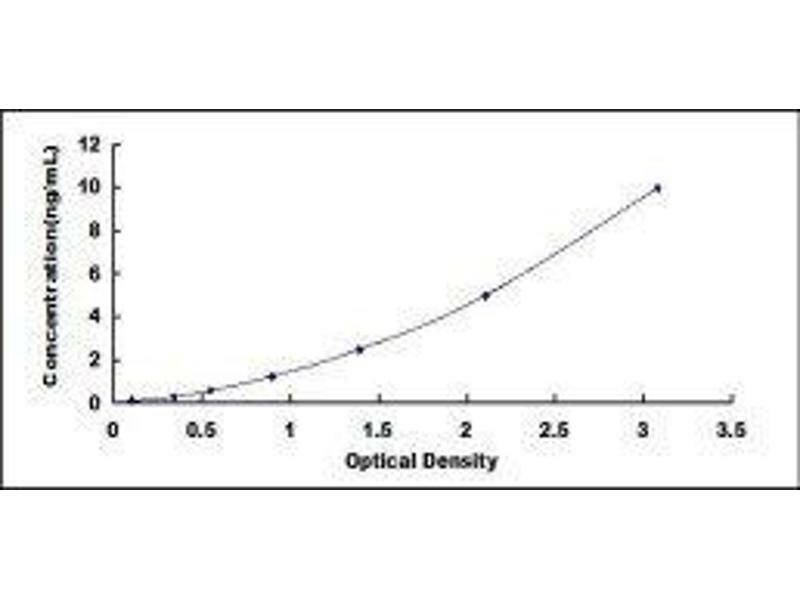 It is activated by proteolytic cleavage of its extracellular amino terminus. The new amino terminus functions as a tethered ligand and activates the receptor. The F2RL1 gene contains two exons and is widely expressed in human tissues. The predicted protein sequence is 83% identical to the mouse receptor sequence.